Hello Pokemon Trainers! I Think I Just Found A Poke-LEAK!!! Good day to you, my fellow Netizens! Most of you who follow me know that I am an avid anime watcher and diehard Pokemon player. With anime, I am constantly seeking new stories to behold, crossing all genres, and pretty much sampling a bit of everything available. With gaming, however, I am pretty much specific – the only games I play are Pokemon games! Why? I have no idea. I never was much of a gamer – my little brother got that gene. I have always been more of a “Utilities” type of person when it comes to computers. I’d rather be using a program that helps me do a daily function than gaming, but when it comes to Pokemon – all bets are off! 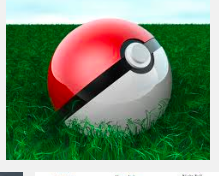 But back to the subject at hand – Yes, I am a Pokemon Trainer. I have played almost every game in the Pokemon franchise, from Red and Blue through HeartGold and SoulSilver, and into the newest generation, X and Y. I remember all the Pokemon friends I collected throughout these games, and cherished the battles between the bad guys (Team Rocket, Team Plasma, Team Flare, you get the picture…) that made each game an overall war of battles that occurred in each specific region. I can remember the first time I played Pokemon Yellow – the game that allowed you and your Pikachu to walk side by side for the first time while all the other Pokemon were safely snuggled into their Pokeballs. Now, with the technology we have today, we are beginning to be able to bring back some, but not all, of those old friends we thought we had left behind. As of today, it is possible to take Pokemon from earlier games through the PokeTransporter to the all powerful PokeBank, and from there you can bring them back into your X or Y Game! This is the most awesome thing I have witnessed in the last decade. I, like most of the other Pokemon Trainers, play the game for the fun of it. 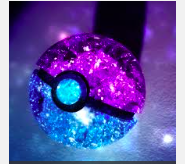 But there are just some Pokemon that you want so badly, and they aren’t available, so instead of catching them, you go the way of the “Cheats” (which used to be a big thing, back in the day!) and you create your own Pokemon. I won’t lie to you, I have done it myself. But I always have done it in the spirit of the game! I don’t generate Pokemon that are too powerful, or that “can’t be beaten”! Where’s the fun in that? Now, generally speaking, I have only created a few Pokemon that I really wanted in my game with the help of a “legit” Pokemon Editor – I say “legit” because it uses the actual algorithms and values that the game uses when generating the new Pokemon. Because of this, the Pokemon generated are generally accepted into the game, after passing through all the statistics checks you can imagine are thrown at it. These become “Real” Pokemon – you just didn’t catch them on your journey, you created them (with the help of the legit software). Everything I have just written boils down to this: I think I may have found a flaw in the plan that hasn’t yet been brought to immediate attention – I may have stumbled on a “hack” that not many people know of. I’m not sure where I should post this on any gaming boards, so I am going to post it here. Rather than going to a message board and posting, I’m posting here so people can come to it. If they want. So, without further ado, I shall henceforth be talking the Pokemon lingo! OK, for those of you who know – or kinda know – here is a basic breakdown of how you gen your Pokemon. I’m going to try to do this holistically, so I will probably be skipping over the fine details. If there is something you would like me to explain, please ask. Most people who use this will be running windows, but I am coming from a mac – with a Windows emulator – either way, it shouldn’t detain you from doing the basic outlines. 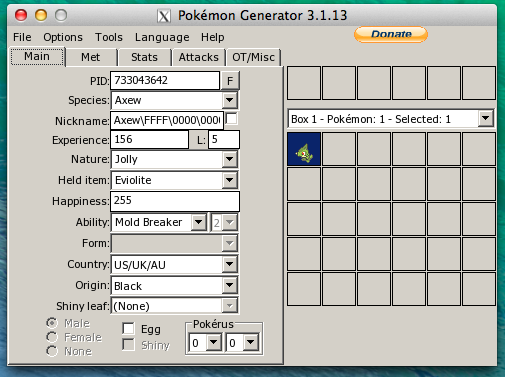 Step 1 is to open PokeGen – this is the program that you will use to create your Pokemon. Step 2 is to load the Pokemon you want to create from the SMOGON Save Files – which have legit values for the Pokemon. I am skipping all the detail steps, because if you want a tutorial on how to do this process, they are all over the internet. So, I’m not giving you step by step instructions, but generally showing you how the process works. 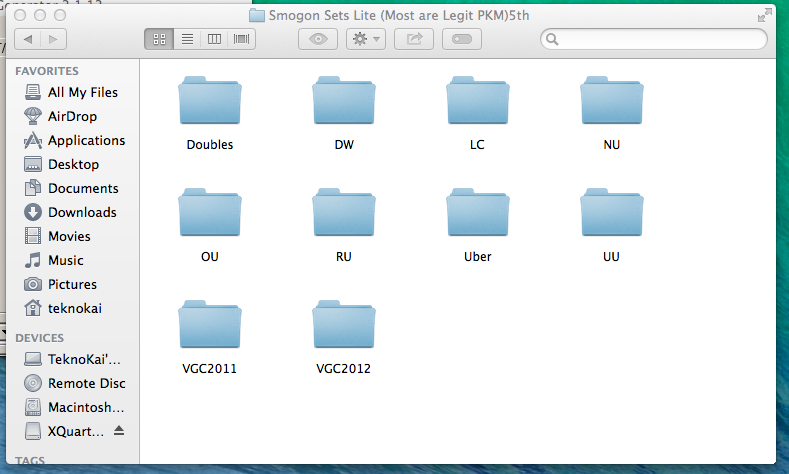 Once you have loaded the SMOGON file, you save your newly created Pokemon as a *gasp* .pkm file! Shoulda seen that one coming! Once you have made those necessary DNS changes on your DS system, you can load your game (specifically, I am using White version 1. I am assuming that what I am going to describe works the same way on Black version 1. I do not know if it works in Black 2 / White 2 – I have not tested it there. Once you have imported all the Pokemon you specifically generated to send to the game, you would think that if you went back into the GTS one last time that you would be told that there are no Pokemon waiting for you. You would be so wrong. 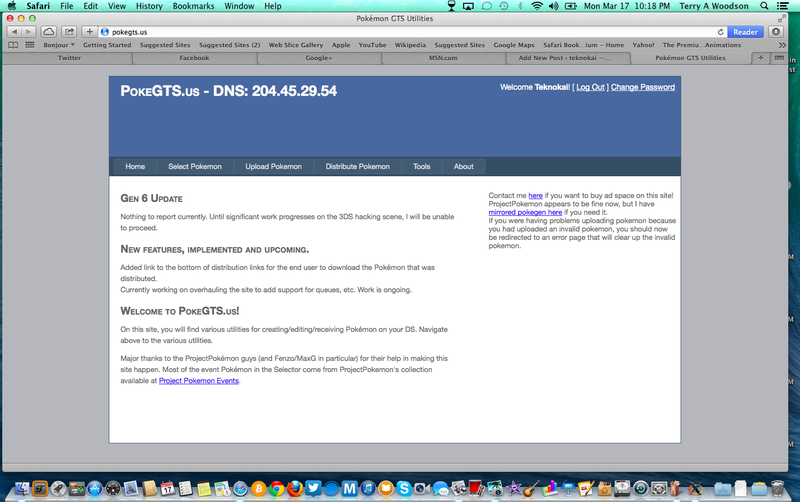 At first, I thought it was just a momentary glitch in the system, but on repeated tries – this is what I found out. OK, now that I have let “the cat out of the bag” (I do so love cliches) I am interested to know if anyone else has found a similar problem or is in a similar situation. Leave me a comment and let me know. I think I just have fun finding where things are “broken”… I am an IT guy, after all.